Economic Development Minister Basil Rajapaksa participates at the opening ceremony of enhanced facilities constructed under the second phase of the Diyatha Uyana in Battaramulla. Defence and Urban Development Secretary Gotabaya Rajapaksa was also present. 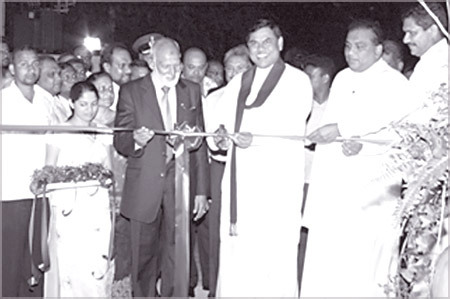 The enhanced facilities constructed under the second phase of the Diyatha Uyana Walking Path and shops in Battaramulla were opened for the public on Saturday by Economic Development Minister Basil Rajapaksa in the presence of Defence and Urban Development Secretary Gotabaya Rajapaksa. The new facilities include shops, open area with restaurants and ponds. 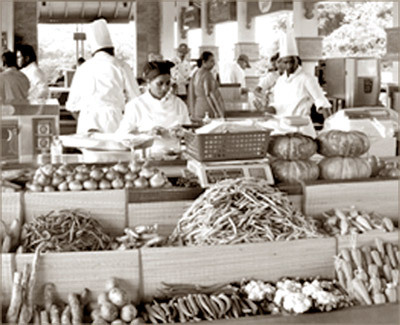 The Diyatha Uyana Park built along the banks of the Diyawanna Oya was opened on September 15, 2012. Since its inception, it has attracted people from all walks of life from all over the country. A boat service is also available for rides in the Diyawanna Lake. A floating restaurant was also opened recently. Stalls selling ornamental plants, foliage and flowering plants have brisk sales. Walking pathways are popular among the health conscious. The Sri Lanka Land Reclamation and Development Corporation, operating under the Defence and Urban Development Ministry, Sri Lanka Army, Sri Lanka Navy and the Civil Security Department constructed the Diyatha Uyana under the guidance and supervision of Secretary Gotabaya Rajapaksa. Senior Minister A H M Fowzie, Secretary to the President Lalith Weeratunga, Tri Services Commanders and Police Chief, senior ministry officials and the public also participated.